Bill Nader is coming home. 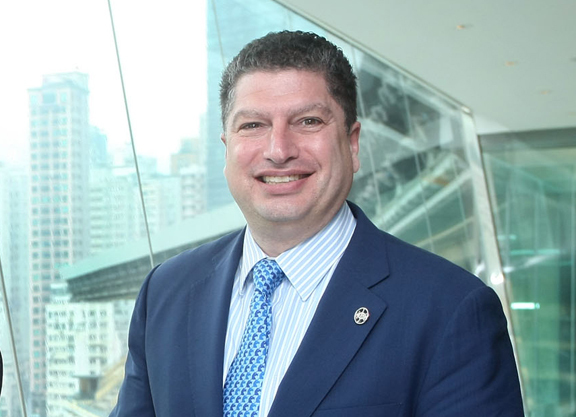 A former senior vice president and chief operating officer at the NYRA tracks, he left in 2007 to take the job as the executive director of racing for the Hong Kong Jockey Club. Recently, Nader announced that he would be leaving Hong Kong to return home. He says he will end his tenure with the HKJC in January and likely return to the U.S. in February. The TDN sat down with Nader to find out why he is leaving Hong Kong and what he plans to do upon his return. 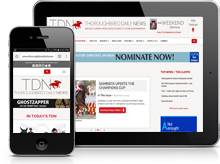 TDN: After nine years working at what is widely viewed as one of the best racing operations in the world why did you now decided to leave and return to the U.S.? BN: This is very a difficult job to walk away from because I like Hong Kong, I like living here, I like the people, I love the organization. It was not an easy decision to come back but I do miss my family. It’s been nine years, so I thought this was an appropriate time to come back. But I know that when I walk away from here I am going to miss it terribly. The trade off is to be closer to family, and I thought the time was right to make the move back home. TDN: You said leaving Hong Kong will be very difficult to do. Can you elaborate. What makes working there so special? BN: Here, the organization we have, the team we have, the resources we have, those are all great advantages. The business model, which was established well before I came, whoever was the architect who came up with way racing is structured here was absolutely brilliant. This is the best possible model there is. Another thing that makes this such a great place is the passion for racing. It’s like Saratoga is but every day. The news coverage, the passion, the relevance of the sport, it’s all so contagious. That’s why it so difficult to walk away from it. 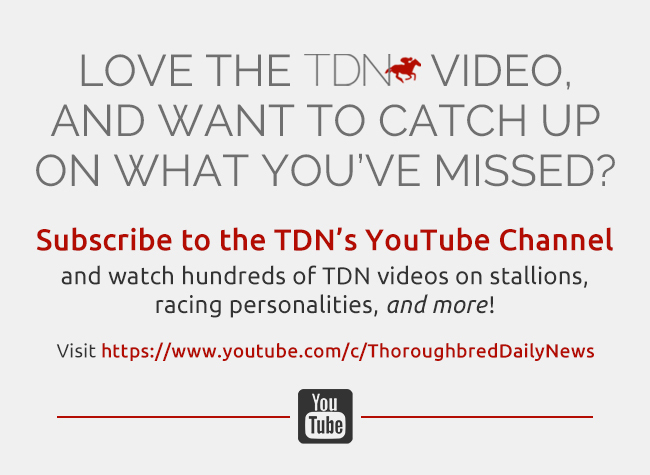 TDN: Have you decided what you’d like to do upon your return? Has anyone reached out to you yet and offered you a job? BN: I am not sure what I’m going to do other than come home and just take a break. I haven’t really reached out to anyone. People know I am leaving–that’s been pretty well publicized. But I haven’t made any real effort to lock down anything going forward. I would like to take a break and how I deal with that mentally and physically we’ll have to see. I may try to develop a hobby. I’m not a very good tennis player, but maybe I’ll take some lessons or buy a set of golf clubs. Do whatever guys do. I’ve been here nine years and have not played one round of golf. I would like to explore a different lifestyle and then like to see what opportunities might be there for me and then get back to work. Whatever I wind up doing I’d like to try to establish a better balance between work and free time and my personal life. For the last 20-plus years the jobs I have had have been pretty demanding. I have had a couple of offers, but none from the States. There have been some really good offers but I’m not interested. I want to come home and if that were not the case I couldn’t have had a better job than the one I had in Hong Kong. I wouldn’t mind working outside of racing to see what’s there. That might not happen because my entire career has been in racing. But with the job here and with the job in New York you’re running very big companies. Here, within the racing division, there are 1,200 people. So running a big company and managing a lot of people is a skill set I have, maybe something that I can put to use outside of racing. I am wide open to anything, but there’s nothing at all that I can point to right now so far as to what my next job might be. TDN: While understanding that a lot of the things that are done in Hong Kong racing could never be done in U.S. racing, what have you learned while in Hong Kong that could make you a better racetrack executive upon your return to the U.S.
BN: It would be hard to duplicate a lot of the things we do here in the U.S. But in broad terms there are some things that can be brought to US racing. There is no magic potion, but the key points are good decision making, good use of resources, understanding customer needs and providing the best possible experience, respecting all stakeholders, working collaboratively with government, information delivery, transparency and integrity. One thing I benefitted from here in my nine years was to learn better organization and management skills so far as how to deal with situations and how to deal with people and how to deal with complex issues. We are running the whole show here; we are the entire industry and that’s a great advantage. American racing doesn’t have the resources the Hong Kong Jockey club has, but you learn the best way to allocate those resources you do have to derive the best outcome. A big part of that is finding ways to insure that integrity at all levels is at the very highest level and giving the customer the best possible experience. In America, you have to deal with special interest groups and sometimes there are politics and restrictions in play and you have to find your way through those things. Being here, I’ve definitely improved in my ability to do my job. Being in New York was great but this takes it to a new level. TDN: After having what is about as close to perfect as it gets when it comes to a racing job, do you think working in the American racing industry again would frustrate you? After all, American racing is dysfunctional. BN: I would be frustrated. But I would know that going in. While working here has been great, we do not have free reign to do whatever we want. When I came in we had 78 race days a year and had to campaign strongly and lobby government to go to 83. It was a much more difficult process than I imagined. I don’t want people to think the Hong Kong Jockey Club can do whatever it wants to do. It isn’t all peaches and cream here, but the structure and business model is still the best in the world. So, yes, I am sure there will be things that will frustrate me if I start working in American racing again. But I would not be blind to it. I spent 14 years at NYRA and the years I was there things were pretty tough. I am going to be careful about which jobs I would consider. For me at this stage it has to be something I would really want to do. I think my next job will be my last job.